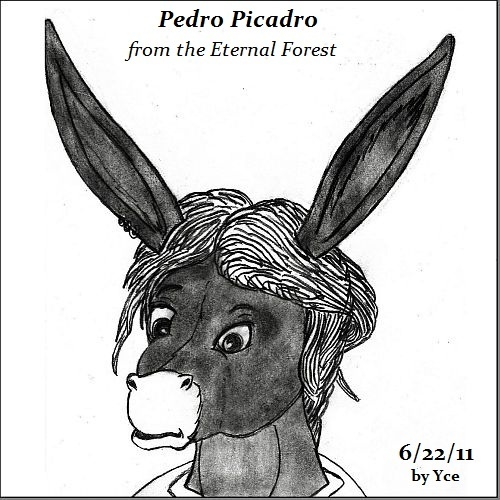 Pedro Picadro is an older teenaged donkey boy whose parents run a fix-it shop repairing appliances and mending linens and clothes for needy people. Pedro appears some time after the "New York" arc in regards to the Beach Bears continuum. He is a Spanish-American who has two languages and he celebrates the Mexican holidays and can perform the Mexican Hat Dance. He's pretty talented. Just watch out for that flying kick, though. His hooves can really numb your mind since he is a Green Belt himself.